In June I decided to reboot my reading habit and completed a book each week which has lead to more consistent reading overall. With summer coming to a close I thought I would share some thoughts on some of them. The topics varied but all relate in some fashion to my projects regarding how technology and corporations are evolving the concept of “work” for my next book or most recently evolutionary brain psychology relating to technological development. I discovered the late Leonard Shlain and his daughter, filmmaker Tiffany Shlain when researching for Corporate Empathy in 2012. Tiffany, known for creating the Webby Awards has produced some very thought provoking short films about connectivity and how the Internet and technology are shaping us. Her father, Leonard, a brain surgeon, wrote extensively about the intersection of art and science and has inspired my newest research. “The appearance of Leonardo in the gene pool gives us hope. He lived in an age when war was accepted. Yet, later in life, he rejected war and concentrated on the search for truth and beauty. He believed he was part of nature and wanted to understand and paint it, not control it. 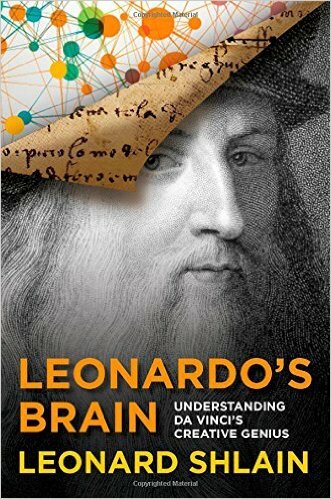 For an in-depth look of Leonardo’s Brain, I recommend Maria Popova’s annotated reading at BrainPickings.org. The Shareholder Value Myth by Lynn Stout, Distinguished Professor of Corporate & Business Law, at the Cornell Law School was published a few months prior to my publishing of Corporate Empathy and supports my own claims that corporations can and do look beyond the bottom line. 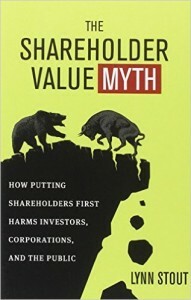 Stout clearly illustrates throughout the book “how putting shareholders first harms investors, corporations, and the public” and completely destroys the “myth” that corporations must “maximize shareholder value” as “an incoherent and counter productive business objective” that causes harm to all stakeholders. In addition to examples from Enron to BP, Stout calls out the overly simplistic concept “of maximizing shareholder value” that runs rampant through the corporate and academic world as failing even the most basic litmus test – which shareholder are you maximizing for? Stout states that, “long-term investors and short-term activist hedge funds do not compete on a level playing field” which creates a “conflict of interest” for corporate directors to understand and balance the needs of very different shareholders. Rational Ritual came to my attention through Facebook founder Mark Zuckerberg who selected the book as one of his “year of books” challenge this year. The book explores how culture and group coordination develop in society related to common knowledge. Book Description: Why do Internet, financial service, and beer commercials dominate Super Bowl advertising? How do political ceremonies establish authority? Why does repetition characterize anthems and ritual speech? 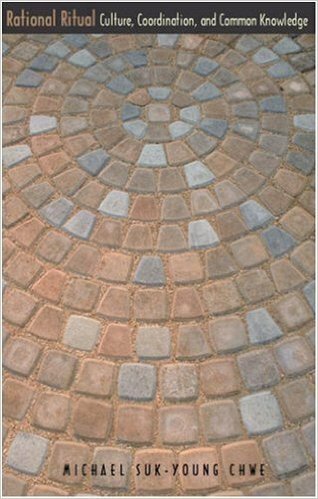 Why were circular forms favored for public festivals during the French Revolution? This book answers these questions using a single concept: common knowledge. Rational Ritual was engaging for me because much of what I spend time on is developing ideas and movements that will gather the interest, support and advocacy of others. To be successful I am constantly striving to understand more deeply what motivates people to become involved and to take action. I discovered the work of Erik Brynjolfsson and Andrew McAfee through this TED talk about about the future of jobs given by McAfee. 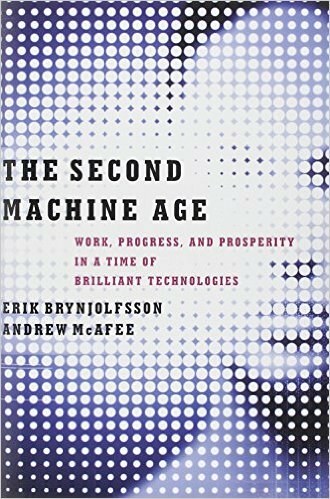 Both Bryjolfsson and McAfee are directors of the MIT Initiative on the Digital Economy and The Second Machine Age is a well thought out narrative about how computers and automation are both improving and challenging our current societal structure. The authors create a brilliant illustration of just how fast change has occurred due to Moore’s Law and how much faster it is about to accelerate as we move through “the second half of the chess board” by retelling an old story about an emperor and an inventor. The authors also spend a good deal of time digging into the inability of our economic system to keep pace, dedicating a chapter to the deficiencies of using GDP as the sole measurement of economic value. The two authors give a strong warning and optimistic outlook about getting to a future of great improvements to society. This was given to me by a friend at The University of Tampa who is an ambassador for KIND which is a large part of how KIND spreads it’s message and gains new loyal fans. 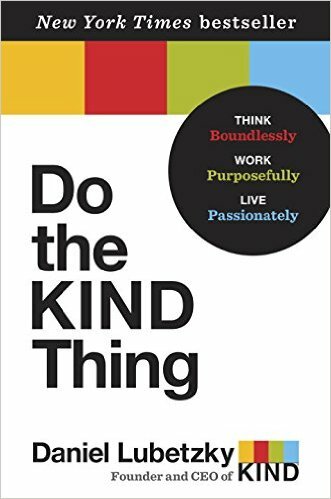 Do The KIND Thing is the entertaining and inspiring story of how Daniel Lubetzky has been able to blend a deep desire to improve the world with a profitable and disruptive business. His philosophies on inspired and passionate business are woven throughout the book’s 10 chapters that correlate to 10 values that have made KIND a great company. Book description: In Do the KIND Thing, Lubetzky shares the revolutionary principles that have shaped KIND’s business model and led to its success, while offering an unfiltered and intensely personal look into the mind of a pioneering social entrepreneur. Inspired by his father, who survived the Holocaust thanks to the courageous kindness of strangers, Lubetzky began his career handselling a sun-dried tomato spread made collaboratively by Arabs and Jews in the war-torn Middle East. Despite early setbacks, he never lost his faith in his vision of a “not-only-for-profit” business—one that sold great products and helped to make the world a better place. I was introduced to Douglas Rushkoff by a friend at The University of Tampa who recommended Program or Be Programmed which helps “readers come to recognize programming as the new literacy of the digital age” and the importance of considering what the devices we program are doing to our own cognition. Rushkoff, a media theorist and early advocate for the Internet is often a bit pessimistic for my preferences but his insights are deep and his ideas engaging. 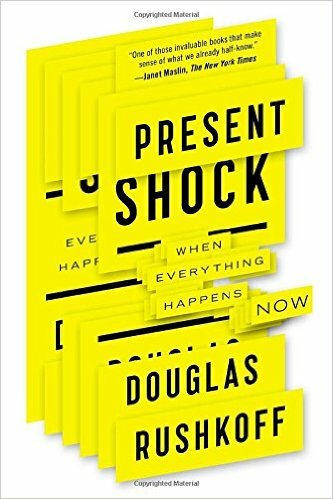 Present Shock is a thought provoking look at “the dissonance between our digital selves and our analog bodies” that Roshkoff describes as a “present shock” state. The early promise of the digital world to give us back time and free us from certain work has instead entrapped us in a world were we must response constantly. Personally my favorite aspect of Rushkoff’s work is that he breaks down technology to what it really is. Today “technology” is commonly (and mistakenly) thought of in terms of digital devices or any career tract that requires a STEM education. Rushkoff goes deeper. Rushkoff dedicates an entire chapter and really the theme of the whole book to the fact that “time” itself is a human technology that changed us deeply – and remains an underlying cause of change today. 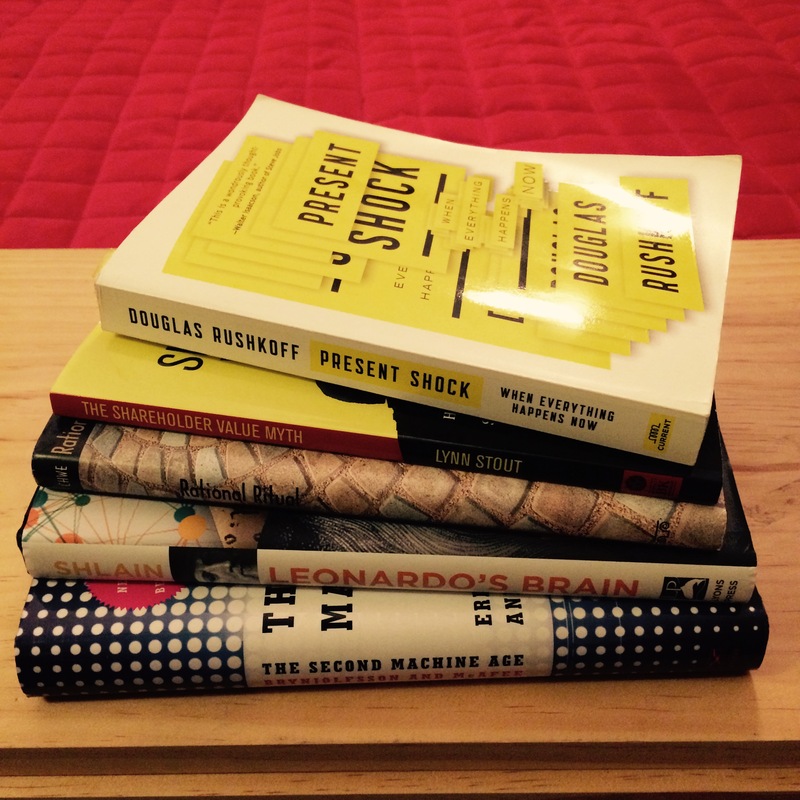 Seth Godin notes that after reading Present Shock “the world will seem very different indeed.” I couldn’t agree more.